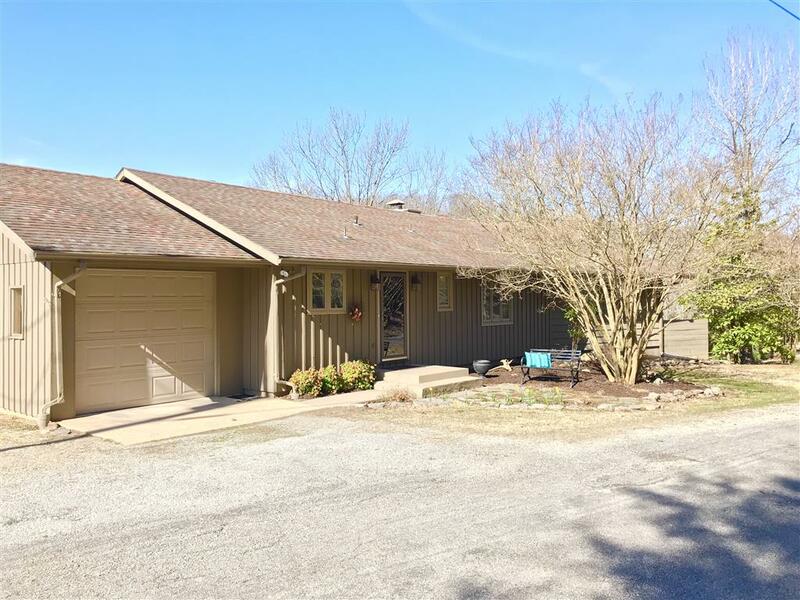 Bay Realty, Inc. - 1385 Highland Park Drive with a private boat dock! This classy, all on one level home is in excellent condition and has a DOCK and a VIEW! The private boat dock has a swim platform, boat lift, and is the perfect place to enjoy the clear water of Beaver Lake. A 24x40 shop is steps away with two garage bays, a storage loft, and plenty of space for your projects! The land has several interesting levels, boulders, cliffs, and a road to allow you to drive a golf cart or UTV down to the dock. After you get off the lake, the tier below the house has an outdoor hangout pad with a firepit. The house has a large deck with a great view of the lake, granite countertops, wood floors, and its own attached 1 car garage. This property is located in a nice subdivision with paved roads. This is your ticket to lake front fun! Furniture is negotiable. Directions: From Eureka Springs: Take 62 west to left onto 187 at RiverLake gas station. 187 to left onto Mundell Road. Mundell Road to left into Highland Park subdivision. Continue straight to the Y and take a right down the hill. At the bottom of the hill take a hard right. Home will be on your left.